Prior to joining the Newcastle Law School, María-Teresa was a lecturer in International Human Rights and Refugee Law at Oxford University, where she was also director of its International Summer School in Forced Migration (2009-2010). Between 1999 and 2004, she worked in Brussels during the first stage of the Common European Asylum System, where she was first responsible for the work of Amnesty International in this area, and later she headed the European Council on Refugees and Exiles (ECRE) EU Office in Brussels. 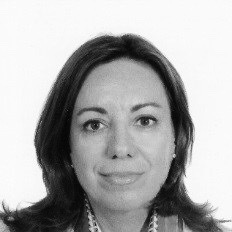 María-Teresa has published extensively in the field of asylum and human rights and some of her publications have been selected by Oxford University Press for its collection of select materials on International Refugee Law. This includes her research on the practice of Mediterranean States (Southern European countries and their Northern African neighbours) on migration and asylum. Her research has been cited by UNHCR in proceedings before the Court of Justice of the EU and has contributed to a Third Party Intervention before the European Court of Human Rights in the case of N.D. and N.T. vs Spain, judgment of 3 October 2017, on access to protection through the African border between Spain and Morocco. María-Teresa is currently developing further interdisciplinary research on the meaning of human dignity as the underpinning principle in human rights protection. Within this context her research interests include exploring the way in which the effective realisation of the right to health in the context of migration and asylum shapes holistic understandings of what it means to be human. Click here for further information. 0 Comments on "María-Teresa Gil-Bazo"